Here’s the “Pepsi Challenge” my friend Sara posed to me – You’re in the middle of nowhere and want to enjoy the wines of the Northern Rhône. What can you buy for $12-40? The objective of the previous feature articles was to showcase a range of the quality wines I truly enjoyed from the Northern Rhône. Producers ranged from massive (Guigal), to medium sized (Cuilleron), to smaller wineries (Vernay and Faury). They each represent something different. Vernay and Faury are smaller production, artisanal wines, with a few restaurants snatching up the limited quantity available. Historically, their wines have been classic Northern Rhônes. Although, based on my interview with Lionel Faury, their Domaine might start to include a modern approach in some wines going forward. Cuilleron is a little larger in production than Vernay and Faury, but with his cult-like following, his wines can be difficult to come by. 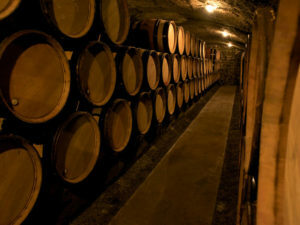 Cuilleron is known for a more of a modern approach in his wine-making. Guigal has the largest quantity and a wide range. His “LaLas” represent what is unobtainable by most (demand and price), but Guigal also makes quite a bit of everyday drinking wines. In these three focus articles, I listed my favorites, along with the price and suggested food pairings. I, along with many others, am fortunate to have a plethora of specialty wine shops or restaurants which I could probably find many of the wines I featured in these articles. But without much effort, what can you get for under $40 if you wanted to dabble with the Northern Rhône Valley? To level the playing field of randomness, a few of my friends canvassed their local wine shop with the same price parameters. Specialty stores were prohibited. They purchased the wine as recommended by the owner and brought it over in a paper bag for a bind tasting. To review, the terroirs of the Northern Rhône are Condrieu, Côte Rôtie, Saint-Joseph, Hermitage, Cornas, Crozes-Hermitage, Cornas and VDP. 1. Wine stores had a multitude of Burgundy and Bordeaux, but the selection on the Northern Rhône was marginal. This is unfortunate because these wines are so gorgeous. 2. Guigal is everywhere. There is no doubt that if you are in search of a Northern Rhône at your local wine store, you will see the Guigal label. 3. Blind tastings are more common than you’d think. I told my wine store merchant what we were doing. He smiled and threw in a whole bunch of brown paper bags so we could taste them blind. He said it happens frequently. The judge panel consisted of the following people: a general manager and former sommelier of a high end, celebrity chef restaurant; a professionally trained chef turned paparazzi; a fierce litigator with a special panache for 4 inch heels; a former professional surfer turned CEO; one public relations specialist with a sharp and witty tongue and a smattering of investment bankers. And the winners…. Unilaterally, the top three, in order, were Cornas, Crozes-Ermitage and Condrieu. Cornas, Domaine de Saint-Pierre, Paul Jaboulet Aîné 2001 (stewed blackberries, smoky, chocolate, spice; coconut and vanilla from the oak; I loved the old world, mushrooms/terroir bit on the palate.) Even though someone cheated with the price parameters, the Cornas was the winner, hands-down. Crozes-Ermitage, Le Grand Countil, Ferration Pere & Gils 2005 (red cherries, strawberries, stewed fruit, minerality, tobacco) This was beautiful and a great price point. We felt the finish dropped off a little as we started to get toward the end of the bottle. Condrieu, Guigal 2007 (minerality, lychee, honey, pear, lemons, almonds, floral, perfume) This is a simple Condrieu, but lovely for everyday drinking. It would be perfect as an aperitif. I had my first bottle of Condrieu in April 2008. I don’t know why I had never had a Condrieu prior, but I just hadn’t. I was obsessed at first taste. It was an Yves Cuilleron. Our wine sommelier appropriately called it “a thinking person’s wine.” It evolved in so many ways over the course of our meal and the perfumed palate pleasantly lingered indefinitely. This bottle of wine was the genesis of our wine tasting adventure in the Northern Rhône. I fervently researched this AOC and came across the story of one of the true gurus of Condrieu – Yves Cuilleron. I was intrigued to learn that he was formally educated as a mechanic, but found himself drawn back to his family’s roots of wine making. He took over his father’s estate in 1987. The Domaine now has 128 acres, with a lot of small parcels, requiring 5 weeks to harvest. Yves Cuilleron is a wine making genius, an absolute perfectionist and a phenomenal multi-tasker. 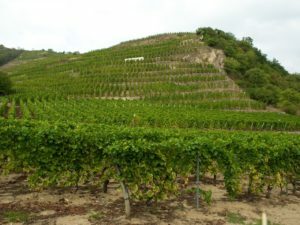 He is well regarded by his peers, having engaged in many joint ventures, including Les Vins de Vienne (The Wines of Vienne), a joint venture with other well known vintners in the Northern Rhône (Pierre Gaillard, François Villard and Pierre-Jean Villa) where they resurrected fallow land and, as a result of their efforts, an application for AOC status is now in process. Mr. Cuilleron graciously answered my many follow-up questions post our visit to his vineyard. You seem to have a less traditional approach to wine making, which I find refreshing. What is your inspiration? It turns out that I am not the only Yves Cuilleron aficionado. Upon arriving in the tasting room, I noticed many of the wines were sold out. I started to fret. 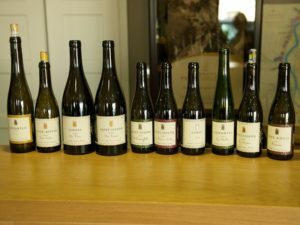 I had built up so much anticipation for tasting these wines. Well, fret not. We ended up tasting 10 different wines (see photo). For the über Yves Cuilleron fans out there, they hold wine future sales (en primeur) from 17 November to 31 December in the harvest year. Botrytis sidebar: Have you ever had a beautiful Sauternes? Well, you can thank Botrytis (noble rot) for this. This fungal disease is either welcomed or feared. Under the right circumstances – misty, damp mornings and dry afternoons – Botrytis infected grapes result in a gorgeous wine. Botrytis consumes water from the grapes, concentrating the sugars. The result is a shriveled grape with intense flavor. 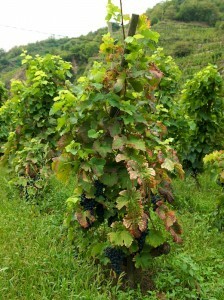 Harvesting is a very labor intense process as many pickings are required. Each spends 3 weeks in concrete vats, with lots of pumping over (remontage) and punching down (pigeage) to extract color and tannins. Then it spends 18 months in barriques. The soil is primarily schist. I have to admit, we went a little buck wild with our purchases at Yves Cuilleron. Luckily, my father-in-law lives in France, so we were also able to (1) alleviate transport issues by storing our wine with him in the country and (2) sign up for their wine club, enabling us to participate in their futures sales. 2008 Les Chaillots – I’m just such a fan of his Condrieu and we had to walk away with some. I loved the minerality and lingering perfume. It would pair well with mild seafood (shrimp, scallops, sea bass) in Thai spices or just by itself as an aperitif. 2007 Ayguets – Bring on the stinky cheese/fromage-qui-pue (that was a shout out to my French friends and family). Mmm… a great, creamy blue cheese would be so fabulous with this. The reds of Yves Cuilleron were also of exceptional quality. We knew we couldn’t pick these up in the States for the same price with transport and taxes. Each had enough tannins to be age worthy. We had to get them all. 2007 Terres Sombres and 2006 Les Vires – Adam Sandler said it best, “Turkey for you and turkey for me”… an idea for Thanksgiving dinner. 2007 Le Pierres Sèches- There’s a restaurant in NY that prepares the best duck breast. The preparation changes by season, but they nail it every time. This would be so delicious with that or any other perfectly cooked duck breast. 2007 L’Amarybelle – With the baking spices on this one, I’d waive in the tagine. 2007 Les Serines – My husband makes a mean ratatouille. That or some sort of red meat sauce could match well with that mushroomy bit on the palate.